Sad news over the weekend from FujiFilm as they have made another announcement on their Japanese website. As we all know, these announcements are almost never good news. Unfortunately this one is no different, as FujiFilm have this time cut several multipacks and some sheet film from their already stripped range. 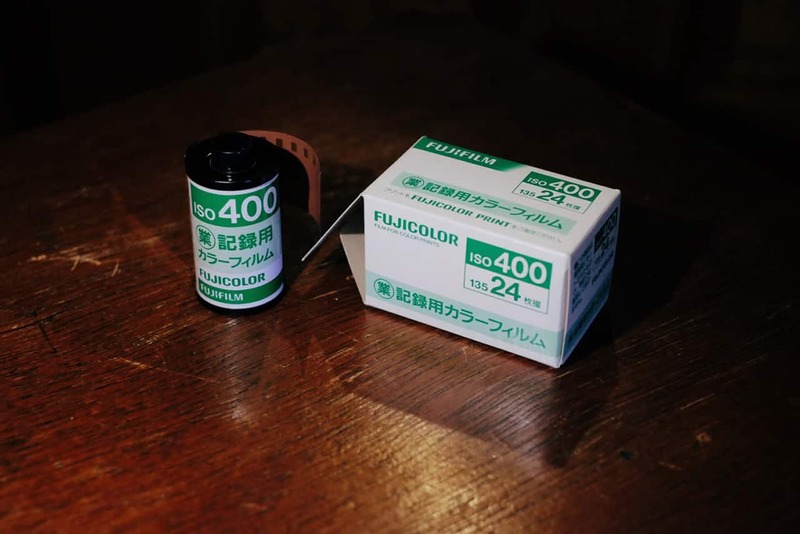 On the 29th of July FujiFilm quietly slipped out the information that they will be discontinuing a series of the multipacks from their film range. 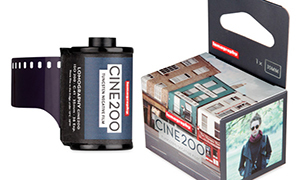 Now this may not sound terribly significant to may, as the films themselves have not be discontinued and you will be able to buy them in individual rolls. But it is actually more important than we think, as this means you will no longer be able to save money by buying multipacks of film. So without mentioning it, we have just been hit with a hidden price hike. This will inevitably price the films out of the range of some and make them less popular, meaning sales drop, meaning price hikes again and finally leading to discontinuation. Like a self fulfilling prophecy. FujiFilm Superia 400 27 exp 2 pack. FujiFilm Superia 400 27 exp 5 pack. FujiFilm Superia 400 36 exp 2 pack. FujiFilm Superia 400 36 exp 5 pack. Fuji Film Superia X-TRA 400 24 exp 2 pack. Fuji Film Superia X-TRA 400 24 exp 5 pack. Fuji Film Superia X-TRA 400 36 exp 5 pack. 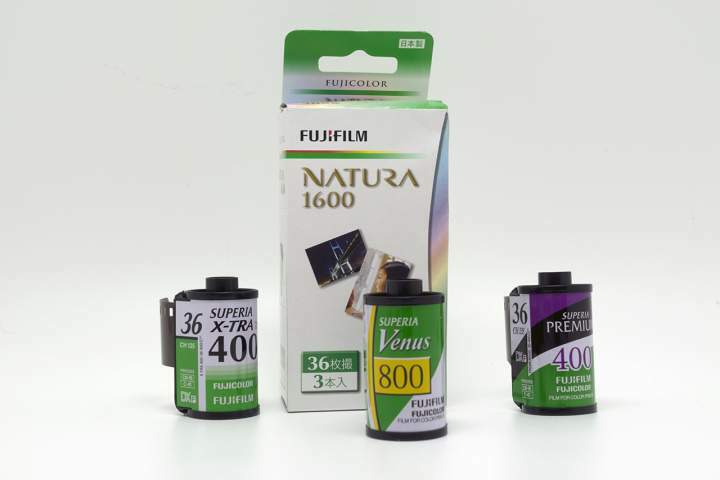 FujiFilm Superia Venus 800 27 exp 3 pack. FujiFilm Superia Venus 800 36 exp 3 pack. FujiFilm Natura 1600 36 exp 3 pack. All of these films will still be available in single rolls, but they do work out to be slightly more expensive than the multipack rolls. 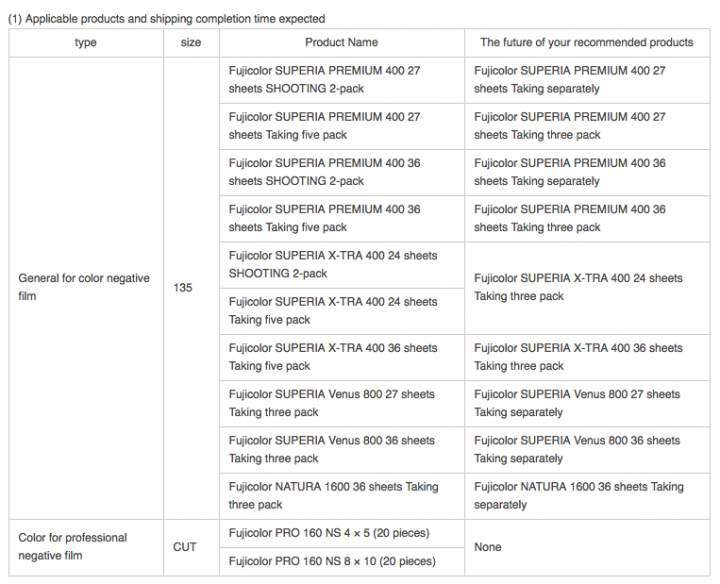 According the the information on the FujiFilm website http://ffis.fujifilm.co.jp/information/articlein_0054.html (only in Japanese so you will have to use google translate). But, the news for large format photographers is a lot worse. As Fujicolour Pro 160 sheets for 4×5 and 8×10 will be completely discontinued, without any replacement options. According to the schedule the multipacks will be stopped by December of 2016, but you can bet there is going to be a run on these packs now and they will almost certainly be unavailable before then. The sheet films will be stopped in August and September. Sad news for all of us, as our options for colour film photography are becoming slimmer and slimmer. I understand that FujiFilm is a business and they are in the business of making money, but surely they could commit to some kind of preservation of some film stocks. A heritage line perhaps? They had massive success recently with their retro disposable cameras, so the market is definitely there. I think they are underestimating the passion and spending power of film photographers. I stopped buying any Fuji film when they discontinued Neopan 1600. And for sure i will never ever buy a digital camera from them, besides the fact that i don’t like the X-Trans. As you said, they are underestimating the passion of film photographers. If they were at least more flexible and produce batches on request like Kodak does with some of their large format films. Or selling the recipes to another company which is still interested in producing film. Although I’m only a user of Superia, and despite the fact that these are not getting fully discontinued, but it just represents an increase of the price, this is getting a bit to much, tbh. Probably they should just give up everything film related and sell it to other companies. Just assume, publicly, that they’re not interested in film anymore, apart from their instax line. With b&w we have a considerable amount of options apart from fuji and kodak but not so much for color. Can someone please share what other companies are producing color film (35 and 120) apart from these two? What are you guys using? I’d love to support others but can only think of Lomography and Agfa, at the moment. Thank you all (and Bellamy, for the incredible content)! Certainly bad news, but I do notice that the 4-pack is not on the list for discontinuance. These are some of the most cost-effective of the multipacks. That would be because the 4 packs are not available in Japan. I couldn’t say about other countries. well, time to stop buying digital cameras from fuji, anything. I don’t see how not buying Fuji products will help anything. I buy Fujifilm Superia X-TRA 400 in four packs in USA. Sad – I love Fuji film stock. I think it’s exceptional. And I love their digital cameras, they’re a brilliant company. I guess they looked at Kodak’s fall and decided to do whatever it takes to avoid becoming dinosaur, even if it means killing their babies. I’ve been stockpiling Venus and Natura for the past two years, but the high speed films apparently don’t keep that well, even in the deep freeze. As a long time photographer who migrated to digital almost 20 years ago from film, I now shoot film again. I am surprised at the films left on the market, and saddened to see films leave. I think Fujifilm is making a huge mistake in their film marketing plan. It is clear that Fujifilm will kill these films off within the next year or so. With each departure of one of their films, I buy more and more Kodak film stock. I love the Fujifilm saturation in their color films, and I just loved their Acros BW films until that disappeared from the Fujifilm world. Now, I’m back to using Kodak and Ilford again. I was looking at Fujifilm digital mirrorless camera systems as a replacement to my Canon gear, but now think I’ll move to Olympus. After reading your previous articles about Fuji (and sharing them on the internet) I feel Really pissed and betrayed by fujiCOSMETICS! Even more now when Kodak announced bigger profits from film sales then in previous year!!! I will be very sad when Fuji will make velvia50 so expensive that I cannot afford!!! Well I think we all have to face the failings of Fuji not recognizing the huge film market. 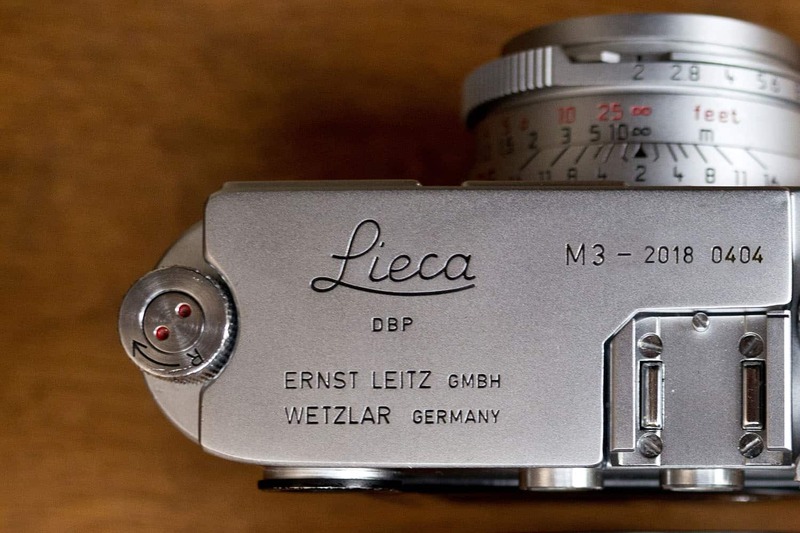 But they have made some fantastic cameras in the past, and really still do. Their film lines have been equally great, wonderful colours. It is a real shame technology has taken them down this route, supply and demand I suppose. Who ever is the head man at Fuji should wake up and taste the coffee again, before it is to late!! – You have more money to spend on others who really care about film. – No more support towards a company who does not believe in your passion and will let you down anyway. – Their films are not easily replaceable but their digital line is! Clearly, Fuji’s commitment to film is largely confined to Instax (a good prduct that I continue to use), but is lacking elsewhere. Maybe it’s film division needs to be set-up differently (since small-scale production seems to be the way with film, maybe a whole new company needs to be set up). Sad news and not unexpected, frankly. I find this to be almost intolerable nonetheless. Do the Japanese ever protest in the streets in large numbers? Perhaps you might organize an action against FUJI amongst the legions of Japanese photogs (I’m kidding!) Seriously, though – yes I understand the ‘business’ aspect on the part of FUJI and other old film manufacturers, such as KODAK. What I don’t understand is why – being aware of the niche film photography movement (which IS growing, BTW) – they don’t release to the public their film-making formulas, copyrights, and the manufacturing equipment if they’ve decided they can’t make money from continued production (Kodachrome 64 anyone)?? Surely as with the Impossible and Lomography ventures, someone would come to the rescue. And yes – that would probably entail a substantial charge, but…so what? At least it would all be still available to those who decide they want the film regardless – just as with the vintage cameras themselves! I see “Fuji Superia 400” and “Fuji Superia X-TRA 400” on the list. Can anyone tell me what the difference is? I’ve always used the X-TRA variant, but am curious as to what the other one looks like. Google isn’t helping much. Oh, come on, this isn’t THAT bad. And it certainly is not the end of film. The multi-packs Superia? Meh. Buy Pro 400h instead, it’s a better product; If you want to save money, shoot with your camera-phone. If you want to enjoy yourself, try 160NS on a roll film camera, it’s really nice. Just to be contrary… If you want to show your support for Fujifilm and its various film stocks, buy it up, shoot it, rant and rave all over the internets about what great film it is, talk it up, send friendly, complimentary letters to the company, and try to drum up support for whatever stocks they continue producing. Complaining and swearing never to do further business with them gives the the excuse to continue cutting stocks and lines. For my money, their digital cameras are the best, most user friendly cameras around and produce some of the best files, but then I could care less about razor sharpness or clinical precision (I shoot film, after all). And while I like Kodak color more, the 400 speed Fuji stocks are excellent, particularly shot at 320. 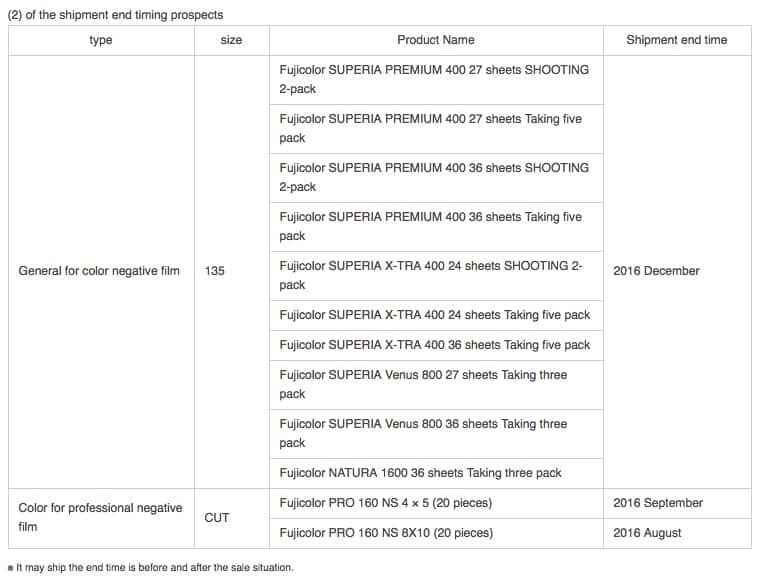 I, for one, intend to put my money where my mouth is and start buying and shooting Fuji stocks whenever possible. 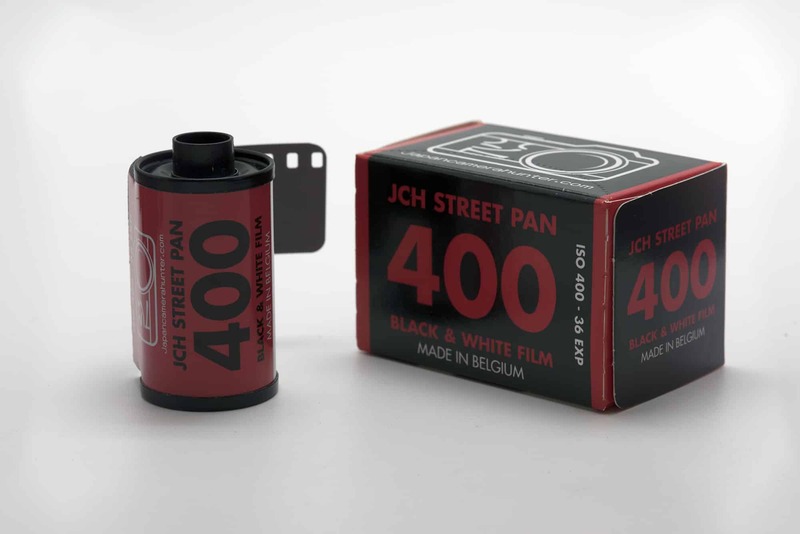 Granted, I also need to support active and committed film producers, so let me order up some of Mr. Hunt’s Street Pan. I don’t shoot much black & white, and I don’t have much disposable income, but I need to show my support for fresh film stocks as much as possible. On a somewhat brighter note, it appears that Fuji is introducing new types of Instax films – an Instax mini black & white & a square (6 x6) format film (for which it appears they will be making a new line of Instax cameras). While not making up for it’s discontinuations (not by a longshot! ), it is still encouraging to see they are able to develop (pun not intended, happy accident) a new film lines.